2-Way, 3-Speaker System The large NS-F150 cabinet houses a 2-way, 3-speaker design consisting of Two 6-1/2” cone woofer and a 1” soft dome tweeters. Made with high quality materials, these speakers deliver strong bass and rich, natural sound with none of the harshness that causes listener fatigue. Excellent Reproduction of HD Sources The NS-F150 is designed to provide outstanding reproduction of HD movie and music sources. Using it together with the NS-P150 speaker package ensures that you will enjoy accurate, well-balanced sound, for an affordable yet high quality home theater system. Large-Size, Gold-Plated Screw Terminals The extra-large, screw-type terminals are gold-plated to ensure maximum signal transmission efficiency. They are capable of handling HD audio signals with no loss of sound quality. Luxurious Presence In the tradition of fine quality Yamaha speakers, the floorstanding NS-F150 has a graceful and elegant appearance. If desired, the speaker grilles can be removed. Spikes and Stand Provide a Refined Look Another element that sets the NS-F150 apart from ordinary speakers is the support spikes and stand. 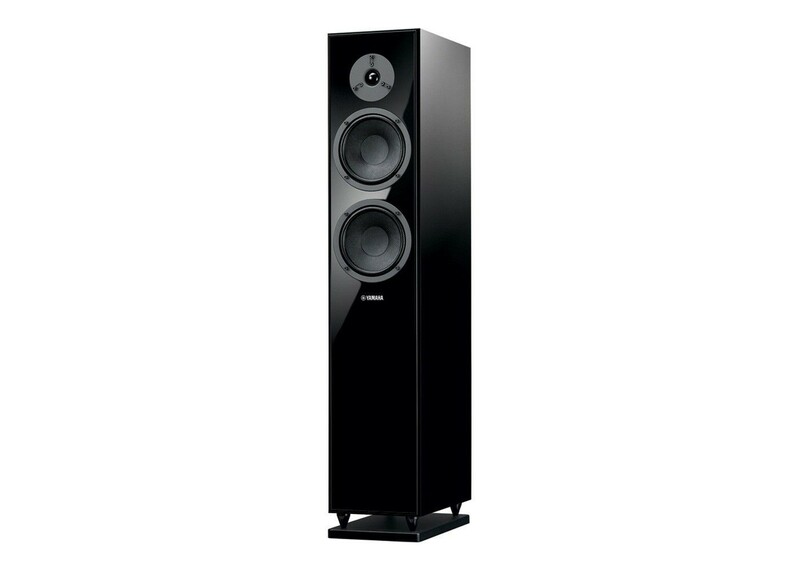 This gives it a distinctive appearance worthy of a high performance speaker.